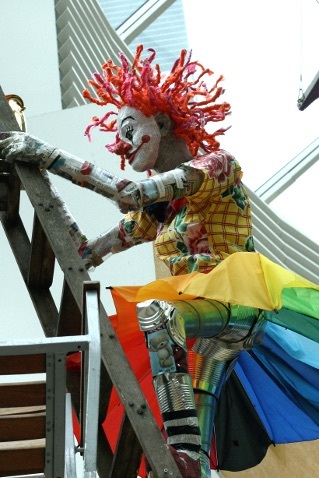 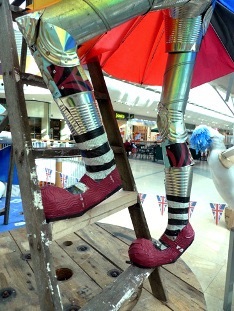 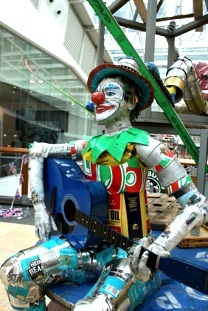 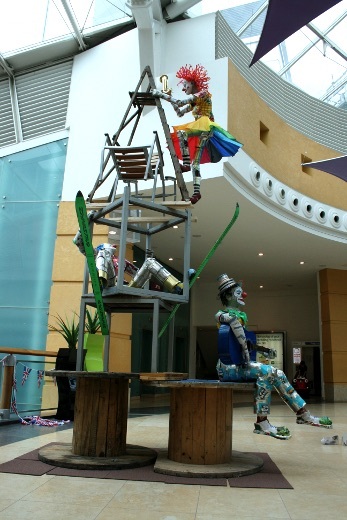 This 6-metre tall structure of clowns clambering up a pile of old furniture was created for the Basingstoke Festival, commissioned by Festival Place Shopping Centre. 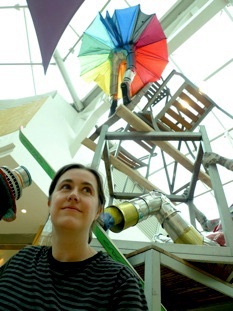 Michelle worked on the sculpture on location over the four weekends of the festival, and the sculpture is made entirely from materials thrown away by customers and retailers at the centre. 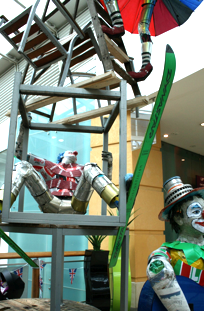 Dimensions: 600 x 250 x 120cm approx.